Take Hair Essentials for healthier overall hair condition. Works for women and men and is effective for all hair types. Directions: Take 3 capsules daily with a meal, or you may space out the capsules and take 1 capsule three times daily. Best taken with food to enhance digestion and absorption of ingredients. 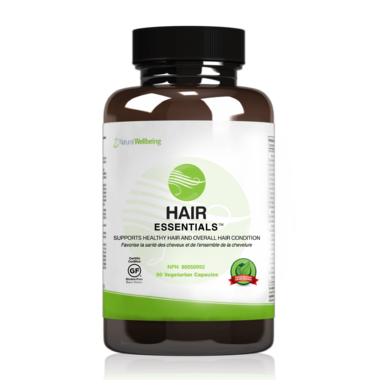 If you have difficulty swallowing capsules, Hair Essentials™ can be easily poured out of the capsule and mixed with juice, smoothies, water, yogurt, honey, etc. for easier consumption. This will not affect the quality or effectiveness of Hair Essentials™. Caution: If you are pregnant, nursing, have any health condition (including a hormone-sensitive condition or a history of), or are taking any medications, consult your doctor before use.